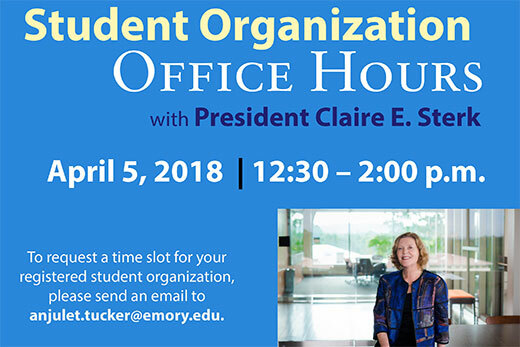 Emory President Claire E. Sterk will host student organization office hours on April 5 from 12:30 until 2 p.m.
Any registered student organization may request a slot to meet with her during this time block. Additional times may be added to accommodate demand. To register, please email Anjulet Tucker, director of programs and engagement for the Office of the President.